An increasing number of IT professionals have been finding it difficult to handle emotional stress, according to experts. An ‘occupational hazard,' the stress related to work needs to be addressed without delay, they emphasise. “Coping with stress and striving for mental health welfare should be a matter of concern for all and not treated simply as a lifestyle problem of the ‘IT phenomenon',” says Nithya Chandrasekaran, a consultant physician for many IT companies in the city. Post-recession, employees feel pressured to perform well. Regular occupational problems such as wrist problems due to constant handling of the mouse, slip disc and eye fatigue are common now, but handling stress that arises owing to fear of losing job or to cope with the increasing competition, affects the employee's performance, eventually, taking a major toll on his health, doctors explain. “As you gain experience in the IT industry, you are endowed with more responsibilities that involve working under stricter deadlines, managing more people from business units across countries, and reworking on millions of lines of code to suit the changing patterns of client requirements,” says Satish Menon, who has been working in the IT industry for 12 years now. His job ensures a quality lifestyle for his family and holds a lot fascination for onlookers, but the implications on health, especially due to increase in levels of stress, could be serious, he says. As if to acknowledge the prevalence of high levels of stress among employees, many IT companies have “help hotlines” that provide counselling intervention to their employees who face stress or psychological fatigue. Companies are also trying to help employees combat stress better. 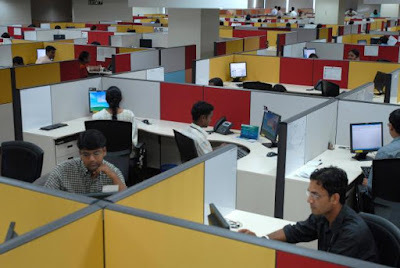 Companies such as Infosys, Tata Consultancy Services, Cognizant and Wipro have regular “stress breaks” intended to help the employees strike a healthy balance between work and fun. Cognizant, as part of an initiative called ‘The Everest,' has a set of people planning ‘adventure travel' for employees. The company also has yoga sessions for interested employees. While companies such as Wipro and TCS have regular ‘family day functions' and ‘workout programmes' for their employees, Infosys has regular ‘green food stalls' on its food courts to encourage healthy eating habits among its work force.